Neil Gaiman (Portchester, England, 1960) is one of the most important fantasy writers of the current scene, with many prestigious awards (Hugo, Bram Stoker, Nebula, and so on) endorsing him. Strongly influenced by Lewis Carroll’s work, and especially by his Alice in Wonderland, Gaiman has focused his career in fiction, although he might write something set in the modern China in a near future. Gaiman is not only a novelist; he has also developed original screenplays (MirrorMask), and has even written two episodes of the legendary series Doctor Who. 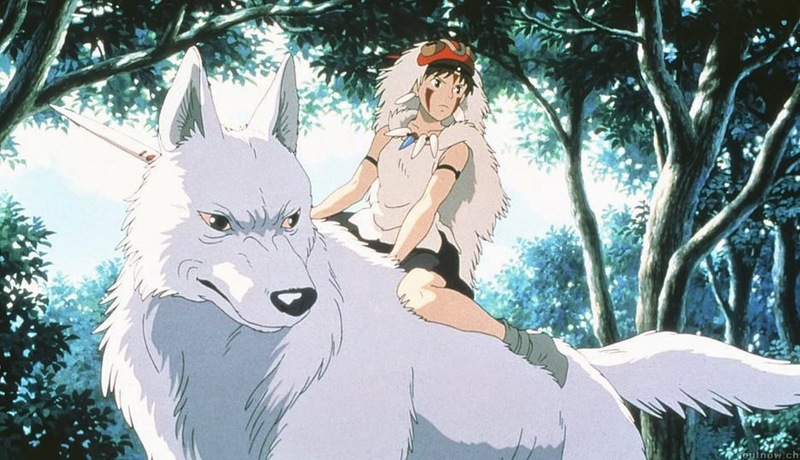 His first professional contact with cinema was back in 1997, when he translated Princess Mononoke’s dialogues into English. His relationship with celluloid didn’t finish there; two of his most famous books, Stardust and Coraline, made it to the big screen during the last decade. Now, other novels such as American Gods and The Book of the Cemetery are about to be adapted too. 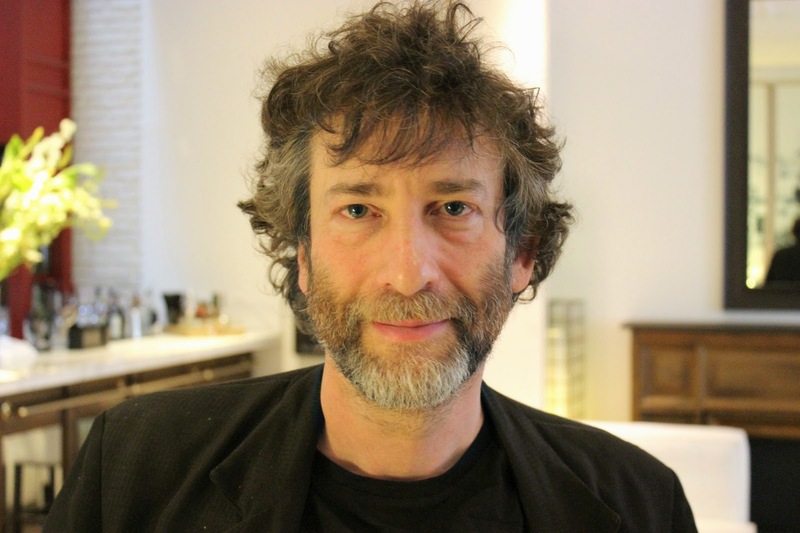 Adria’s News drank a cup of tea with Neil Gaiman when he came to Barcelona in May. It’s 4:15 in the afternoon, what means that in less than an hour Neil Gaiman will be signing autographs for hundreds of fans who have come to Barcelona from all over the country. That is to be expected, in my opinion, as it's not every day that you can have your book signed by one of the pillars of modern fantasy. Our meeting is at the Hotel Pulitzer café -right in the centre of Barcelona- and Neil Gaiman is soon to arrive, with slightly disheveled hair and a black jacket. In other words, with his usual look. He tells me he has landed that same morning from a tour of Scandinavia, but fortunately managed to sleep a bit on the plane. He asks for a cup of tea and we get comfortable on one of the couches, where we will have a relaxed 30-minute interview that will cover topics such as his work, his relationship with film and TV and his upcoming projects. The meeting ends with an autograph, because I am also a fan of Neil Gaiman myself. Trying to avoid over-saturating him before his busy afternoon and for deference, I only hand him one of his novels: The Graveyard Book. He signs my book and even draws a little picture next to the autograph with the same colour pen, between garnet and purple. “I always sign my books with it because then you can prove you have an original”. 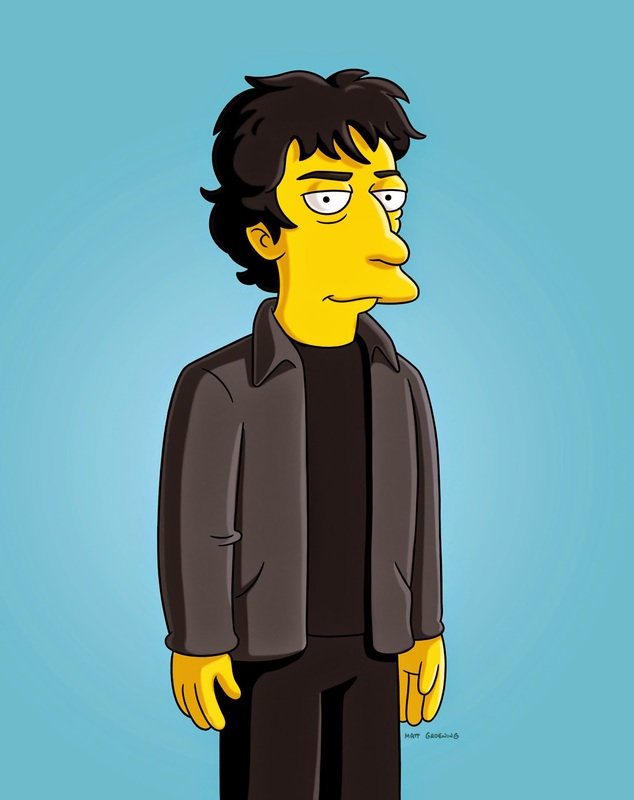 Neil Gaiman on The Simpsons. [Laugh] That’s true, although I’m sure that most of the people who watch The Simpsons still have no idea of whom I was. But for the others, I’m that guy who was on The Simpsons, and it wasn’t just a cameo; I was a proper actor who turned out to be the evil bad guy. Sure, because fewer and fewer movies are being made. Before, when you had lots of movies being made, you didn’t want to betray them by choosing to act on a TV show instead. These days, if you say “I’m just a movie actor”, you may go five years without getting a movie made. I mean, movies are slow, hard to get together, and there are not as many of them being made. So if you wanna work and have your cheque, you will look at TV. Also, in England it was always different. Actors just act, and if there’s a film, they are on films; if there’s a TV show, they’re on that TV show. I think in the US people thought once they got out of TV they would never go back. We got the rights back. The biggest thing that happened was that the executives that were commissioned for American Gods left HBO, and the people who were still there were like: “We don’t understand what this thing is”. The day that the rights reverted to me, FremantleMedia bought them. The only thing that made me sad was that we could not stay with Tom Hanks as a producer because he has a contract that’s exclusive with HBO, so that was frustrating. So right now I’m still negotiating with the show-runner and I know that various things are happening in the background that all make it look like the show will really happen. But I’m also cynical and jaded and I always assume things will not happen. If every single thing that I have going on was to suddenly happen, there would be four movies and nine TV series and I’d go mad. Stardust happened. Coraline happened and, although it took nine years from contract signing, it was worth it in the end. I’m never in any hurry and I don’t mind if things float around. You are British, but you now live in the US. Was American Gods a criticism about their celebrity culture and addiction to technology that make them replace each one’s tradition in favor of a melting pot? You also wrote some chapters of Doctor Who. Was collaborating in this mythical show a must for a British writer like you? You have directed the John Bolton short and also Statuesque, for Sky TV. You also said you would like to bring Death: The High Cost of Living to the big screen. Are you thinking about becoming a film director? No, I just get frustrated because when you are the writer on a film you lose the power of “because I say so” and you just have to hope that your director likes you, listens to you, and understands what you’re doing. With The Doctor’s Wife, my Doctor Who episode, I was very lucky and the director got it. With Nightmare in Silver, my other Doctor Who episode, there were scenes rewritten by the art department… So what you start wanting is the power to say: “It’s this way, because I say so”. And the fun for me of Statuesque was that I had the idea on my head and I made my movie. Absolutely. There’s a short story of mine called The Truth is a Cave in the Black Mountains I’d really like to film and I’d probably write the script too, but I wanna film it because I don’t want anyone else to do it. It’s about control. Which are your favorite TV Shows right now? Let’s see… As for The Graveyard Book, I know that the writer who they had on first has moved off the project and I don’t know who the other writer might be right now… If the script had been ready it would had been Ron Howard’s film for this summer and right now I think they’re hoping to have it for next summer. The Sandman is moving forward too. What can you tell me about this project? Sandman, as far as I know, Joseph Gordon-Levitt is producing it. He and David S. Goyer (he wrote Blade and Godzilla) talked about story with Jack Thorne, who was the marvellous screenwriter who wrote The Ocean at the End of the Lane for Joe Wright (director of Pride and Prejudice and Anna Karenina). So I know Thorne has been hired to write The Sandman. I just wish luck to everybody. It’s funny that we never see you signing the scripts of your own work. It didn’t happen in Stardust or in Coraline. Why? Because you’ve already done it. I always feel that if I wrote a book and I am happy with it, I’d rather do something new. And I’m happy to do somebody else’s thing. I’m currently working on adapting Mervyn Peake’s novel, Gormenghast. The Fermata was enormous fun. That’s Robert Zemeckis’. So the project is all done? Would you like any of your other books being adapted? I like collaborating and I like the idea of things finding the correct medium. It’s looking like Anansi Boys will probably be a TV show, a miniseries, which feels right, because I think trying to squeeze Anansi Boys into a movie is gonna be hard. Also, John Cameron Mitchell (director of Hedwig and the Angry Inch and Rabbit Hole) is adapting my short story How to Talk to Girls at Parties and I’m really looking forward to that. You said once you would be interested in adapting Gilgamesh too. Do you still have this in mind? Yes, of course. Roger Avary (with whom he wrote the script for Beowulf) and I would be the structure, but somebody would have to wanna make it. That’s the big thing. But I would love to work with him again. Roger is a genius. I did. People forget it. What do you think now that Miyazaki retired? Firstly, I’m never convinced when Mr. Miyazaki says he’s retiring. Actually, I think this is his third retirement, or maybe the fourth... I will believe that Miyazaki-san has retired when I see the obituary, and not before. And I think this because if he has an idea for a film, he’ll make it. Studio Ghibli is still there, and they’re ready to make anything he wants to make [at the moment the interview was made, the Studio was still open, but now they have announced that would shut down to readdress their future]. Do you think he’s appreciated enough? No, I don’t, because I think putting him in context is really hard. If you say: “He is the Japanese Walt Disney”, that doesn’t mean anything. If you say: “He is the Kurosawa of Animation”, that doesn’t mean anything either. He is the Miyazaki and, at his best he is probably as good as the finest filmmakers. There are moments in Princess Mononoke that are astonishing and moments in Spirited Away that are absolutely fantastic. Yes. Definitely, mythology is one of those things that for me huge. I think it is a way of seeing the world, a very good way of seeing the world. Your stories also tend to talk about kids that are either orphans or they are about to be orphans. Why? I think if you wanna tell a story about an active child you’re gonna have to kill off the parents very quickly. If you want a young character to become active, parents restrain; you can’t be active or it’s really hard. Let’s kill Harry Potter’s parents or James’ parents in James and the Giant Peach… It’s nice and easy because now you are a child, but you are free. Your stories are not set in fantasy worlds, but contain fantasy worlds that collide with the real ones, even if they are in a dream. Is this a direct influence of Alice in Wonderland? In Coraline we even have the cat! Oh, sure. And the conversation between the cat and Coraline, the one where he explains that cats don’t need names was me playing with Lewis Carroll. In which book, then, can we find the biggest influence of Lewis Carroll’s work? At The Ocean at the End of the Lane, for sure. Alice in Wonderland is very important in that. 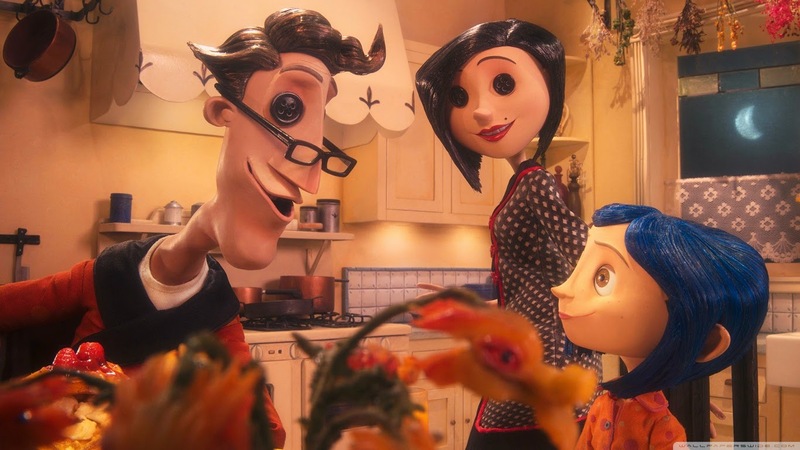 Coraline was directed by Henry Selick, a filmmaker that has worked close to Tim Burton. Would you like him to direct the adaptation of one of your books, since it seems you have a similar imaginary? [Thinks] I would not say no, if he wanted to, as long as he had a really good scriptwriter, but I don’t ever get the impression that Tim Burton is interested in the story. Instead, I think he is really more focused on his imagination. He makes some good films, like Ed Wood. But Ed Wood was the same film all the way through. It’s curious that most of Tim Burton’s films are a new film every 15 minutes. You have to remember what the plot was fifteen minutes ago because I think he’s interested in visual things. And there are films of his I really love and films of his that left me absolutely cold. We hear Jacques Offenbach’s cancan in Coraline and Stardust. Was it a coincidence or deliberate? I think it must have been a coincidence because I did not make the music on either those films, so it would have taken Henry Selick and Matthew Vaughn as directors to choose. A very interesting coincidence, though. You were young, only 30, when Good Omens was published. What did you think when you saw you would be able to collaborate with Terry Pratchett, one of the greatest fantasy writers alive? You are making a huge mistake here. You are assuming that in 1998, when we did Good Omens, Terry was one of the most successful writers in the world. The truth was that Terry had written four or five fantasy novels at that point, but he wasn’t a best selling author. In fact, Good Omens was the first book that ever went out to auction that Terry has been involved in and we didn’t get very good results. Despite this, getting to work with him was like getting an apprenticeship with Michelangelo because I thought Terry was the finest craftsman of novels alive. However, from a commercial point of view Terry was not Terry Pratchett and I was not Neil Gaiman. I always plan to write sequels. The trouble is, that on the one hand, if I say: “Here is a book that I do know how to write and people want, and a publisher would like, and here is something that I have no idea if any body would like, and I don’t know what to do”, what would I decide? I’ll always go off after the last one because it’s more interesting, although I would be much richer if I’d written American Gods 2 and American Gods 3, or if I’d written Stardust 2, and Stardust 3, especially after the movie. You recently visited a refugee camp in Jordan. Do you think you are going to write something out of the fantasy genre to talk about our rotten world? Sure. I think about it and maybe it’ll happen sometime. In the refugee camp I discovered every face was hiding a horror story. I also spent a lot of time in China and maybe I’ll write a novel set in China someday. You also worked as a journalist when you were young, but you gave up because “they published too many lies”. Do you think journalism is getting worse? 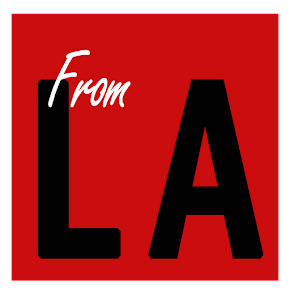 The biggest problem with journalism, for me, was realizing that the stories are not written after a journalist goes out, finds a story and comes back. Instead, there’s a guy in an editorial sitting around and he yells “let’s do this!” For me, this is weird. It actually seemed that fiction was more honest, because, at least, in fiction I’m telling you that I’m gonna lie. And then I lie. Yes, I’m Professor of the Arts at Bard University (New York), and I’m glad I get to have an Honorary Doctorate, although I never sit there thinking “I wish I’d gone to university because I’d have been a better writer”. When we were shooting Stardust I remember sitting in a back room with Matthew Vaughn (director and co-screenwriter) and Jane Goldman (co-screenwriter), and Matthew told me he wanted to direct and produce movies, so when he was 16 he started to work within the industry, and Jane Goldman wanted to write, and when she was 16 she started writing for newspapers. I think when you know why you’re here, sometimes more schooling is more frustrating. In Mirror Mask Helena is looking for a useful book and finds The Really Useful Book. Which would be your really useful book? [Laugh] Oh, I’d love a book as useful as The Really Useful Book is. I love the idea of a book that when you open it you have the one piece of advice that you need at that moment. I sometimes think that Twitter can be my Really Useful Book, but I also fear that Twitter is my Really Useless Book, because it’ll give you the one thing you really need to know, but, at the same time, it’ll give you a thousand things that you don’t. 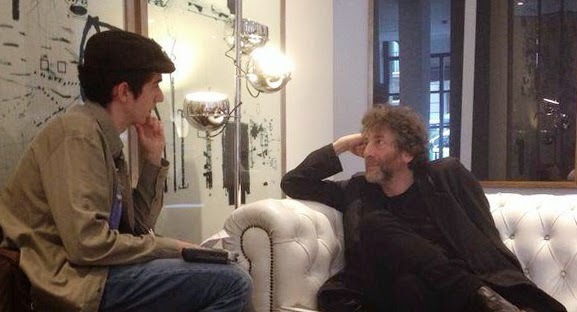 Adrià Guxens interviewing Neil Gaiman.